With an intention to stand high on all the prospects of our clients, we are readily involved in presenting to our clients highly reliable consignment of Cold Forged Fasteners. Made with perfection, our customers can get these fasteners from us at most affordable costs. We develop and manufacture wide range of cold forged fasteners from Size M5 - M10. Our superior quality Nuts & Bolts are made from premium quality raw materials and precision engineered to met clients specific requirements. We have wide range of nuts, bolts, washers & screws that are used in every industry whether it is paper, electrical, electronic, thermocol, sweing machine, railways, ordinance & others as per specification given by the client. - Bolts, Screws made as per national / international standards or as per customer specification. Diameter: up to M8 Diameter. We are one of the well reputed manufacturers, exporters, and suppliers of Forged Railway Fasteners for Railways. These can be easily tailored according to the specifications provided by our clients. Our organization deal in best quality of Forged Fastener and we offer them to our clients all over the market. 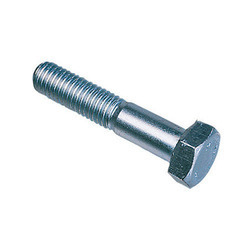 These fastener have gained wide appreciation for enhanced durability and resistance to corrosion. 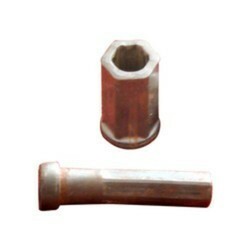 Further, we also design and make the specific profile of the fasteners as per our customers requirement. Hot orging and Cold Forging. We are engaged in providing the best quality range of Cold Forging Turning Fasteners.